So is her kryptonite bean-o? Women don’t do that, do they? ams (2): Well, I’m told that they do, but silently, so that’s why there was only wind and no noise. 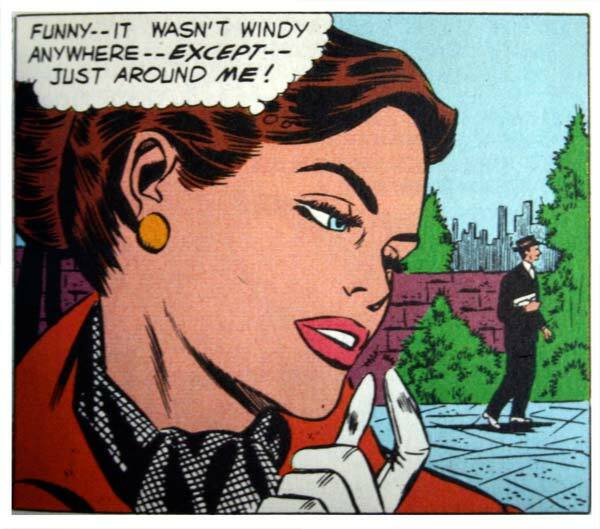 That wasn’t wind lady, the Invisible Man was lifting up your dress. Or maybe she is such an airhead that the drop in air pressure actually causes a wind vortex around her!